Divide yogurt equally among 3 shot glasses. Cut brownie into fourths, reserve 1/4 of brownie for another use. 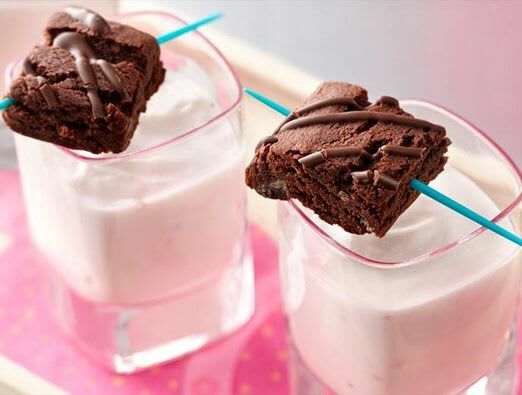 Skewer each piece of brownie on decorative toothpick or skewer and rest on top of each shot glass. Look for tasting-size dishes or shot glasses in the housewares section of department stores, or use any small glasses you have on hand.